Google Shuns NFC for ‘Audio QR’ in Tez Mobile App in India | NFC Times – Near Field Communication and all contactless technology. Google is turning to ultrasonic sound waves for its bid to conquer–or at least survive–in India's crowded mobile payments market. Tez works with more than 50 banks that use the Unified Payment Interface, or UPI, in India, enabling users to directly access their accounts through their smartphones to send money or pay for purchases. UPI, from National Payments Corp. of India, enables interoperability for instant fund transfers between two bank accounts on mobile phones. 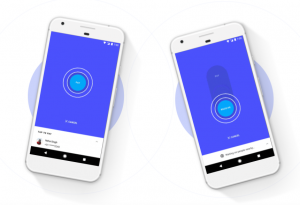 Google announced Tez Monday and Google’s Caesar Sengupta, vice president of product management, said Tez enables users to send money to another user and vice versa or make payments to online merchants that also use the app. It also enables offline transactions with merchants.